A dog bite attack by a police canine onto a person often causes severe injury, but never death. There are no documented incidents of a person being killed by a police canine. 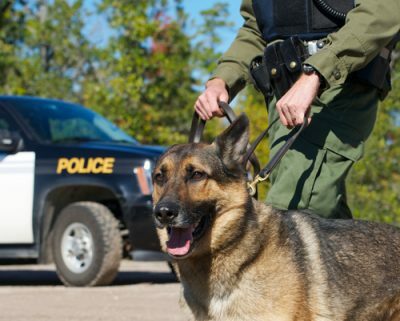 In fact, courts have ruled that police canines do not constitute a deadly force. However, in what might be the first incident of its kind, an 89-year-old man, Jesse Porter, died after being viciously attacked by a police canine in Hayward, California in the late evening of May 29, 2011. A contested issue was whether Porter’s death was caused by the attack. Expert opinion differed. Porter was not bitten in locations that often cause death (i.e. head and neck), but rather on his leg, and he had other medical problems which defense argued caused his death. Experts for the plaintiff testified that the cause of his death was partially the result of the attack. The event began when police used their K-9 to search for the perpetrator of a robbery at a 7-Eleven store. The dog, a German Shepherd imported from the Netherlands, led police to an 8 feet wall abutting a trailer park. The dog could go no further after reaching the wall, so the handler lifted the dog over the wall into the trailer park. His handler commanded the dog to continue the search, and the dog found Porter sleeping under a bush near his trailer. The dog repeatedly bit Porter on his leg, and then dragged Porter into the open. Police quickly realized Porter was not the perpetrator, and ordered the dog to stop the attack. He was taken to the hospital, his leg was partially amputated, and he died two months later. This author, Richard Polsky, was an expert in the case. 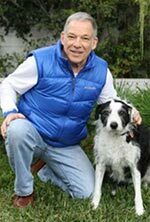 Polsky testified in deposition about certain animal behavior issues, such as whether the police canine was accurately following a sent and if the handler was signaling the dog (i.e. Clever Hans effect). Another animal behavior issue concerned the ability of the handler to adequately control his canine given the circumstances present (e.g. low light, the dog was extended on a 30 foot leash), and the unpredictability of many police canines as exemplified by this dog. Training record showed the dog had committed errors in training sessions and in previous deployments, some of which included dog bite attacks on non-suspects. This case settled shortly before trial in June, 2013 for $1.5 million.